2008 : Fallout 3. Second shock. My first experience in an open world RPG. First real contemplative gaming experience. Wide landscapes, variable atmospheric effects. A so beautiful universe – perfect mix between art and technology, I had to take the landscapes in pictures, but it was impossible to take a screenshot here (on Xbox 360), so I took pictures with an actual digital camera. The shooting method was transforming the picture surface, with an peculiar and paradoxical effect : the game looked more realistic, the trip memory much more “real”. 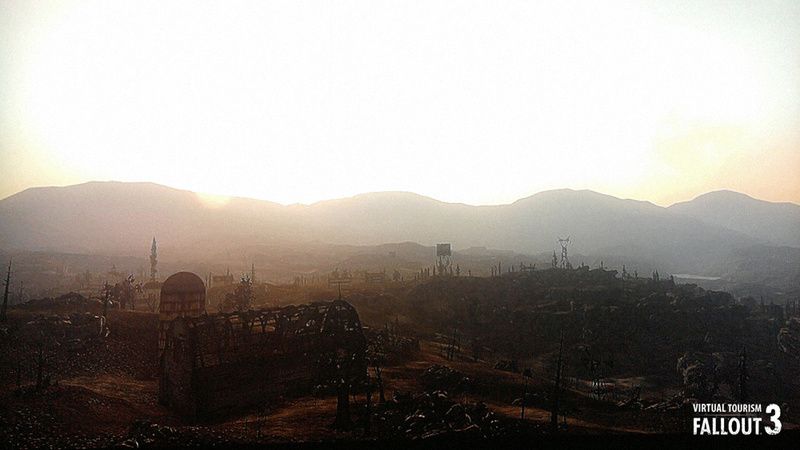 Walking, contemplation and photography in Fallout 3. Washington, D.C., Northern Virginia and parts of Maryland, year 2277. © Bethesda game studios (designer). 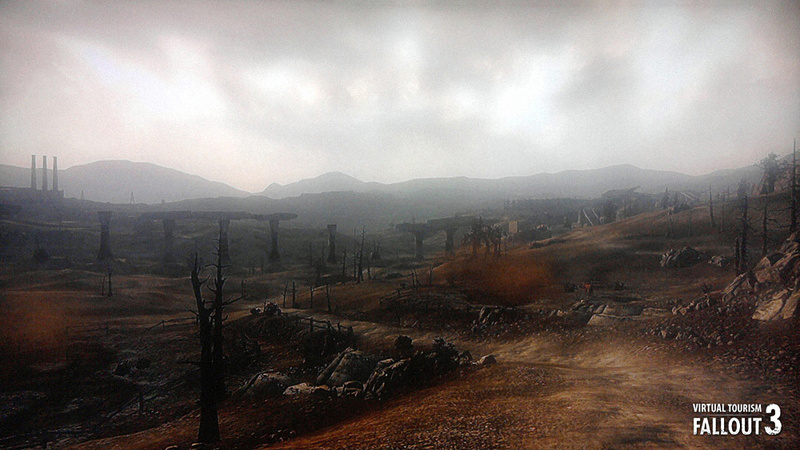 © François Soulignac, 2008 (video game photographer). 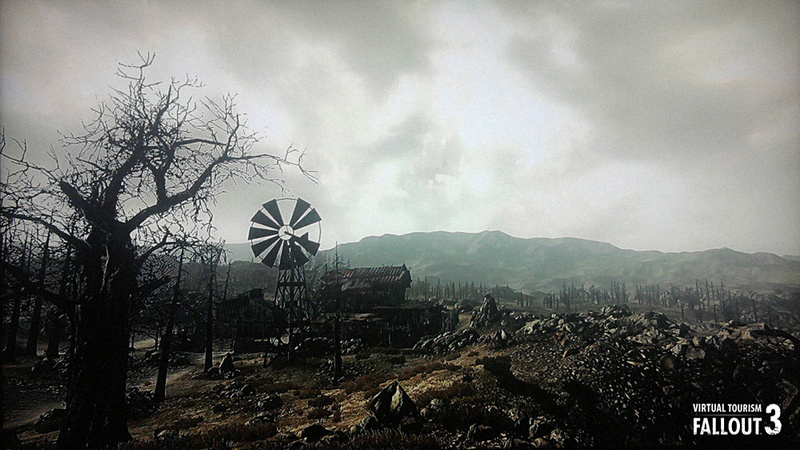 This entry was posted in Video Game Photography and tagged Art, Détournement, Fallout 3, François Soulignac, game, In-game footage, Landscapes, Machinima, Open world, Paysages, Photographe de jeux video, Photographie de jeu video, Tourisme virtuel, Video game photography, Videogame photographer, Virtual reality, Virtual spaces, Virtual tour, Virtual Tourism, Virtual travels, Virtual worlds, Voyage, © Bethesda game studios by François Soulignac. Bookmark the permalink.